June’s App of the Month is the Town of Orangeville’s Planning Information Portal (PIP). 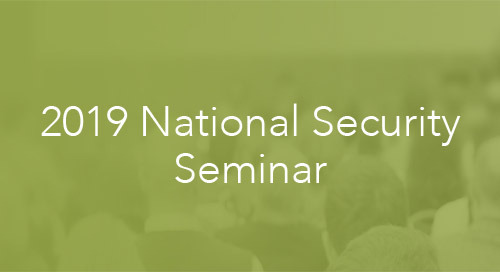 Discover how they used geographic information systems (GIS) to provide citizens access to information about their property like never before. 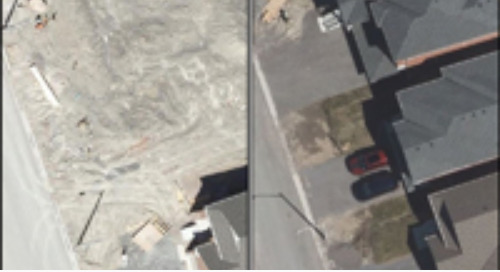 When looking up zoning information, Orangeville residents and town employees used to have to resort to long hours of research and tedious back and forth to find the piece of information relevant to their neighbourhoods and buildings. 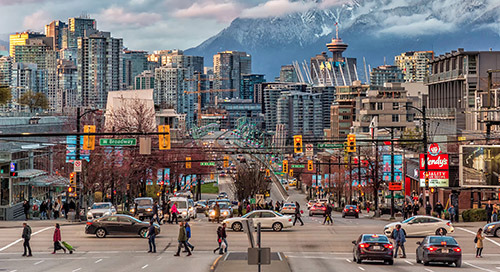 Since the implementation of ArcGIS technology as a central tool for land use planning, the town has experienced a revolution in how zoning information is accessed and shared. Up until recently, the Town of Orangeville didn’t use GIS and accessing property information was difficult. It was looking for better ways to keep records and solutions to digitize planning, zoning boundaries, bylaw plans and maps, which were kept in hard copies and CAD files. Above all, the town wanted to make its data accessible to everyone. This motivated the decision to implement ArcGIS in January 2017. 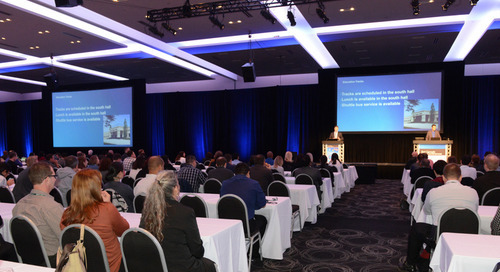 Working in conjunction with the town’s zoning department, conservation authority and the provincial government, Orangeville had its Planning Information Portal (PIP) up and running six months later in June 2017. 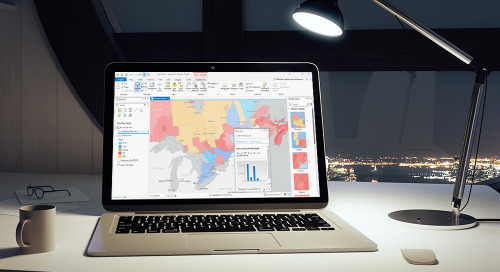 “Since onboarding Esri technology, we have been able to deploy PIP and many other applications that save staff time through process improvement, and significantly improve the quality of our public resources.” Jason Hall, IT Manager for the Town of Orangeville. 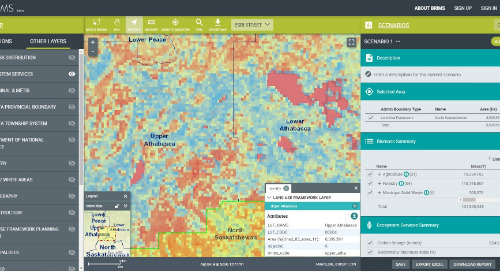 PIP is a one-stop shop for users with any level of GIS experience. 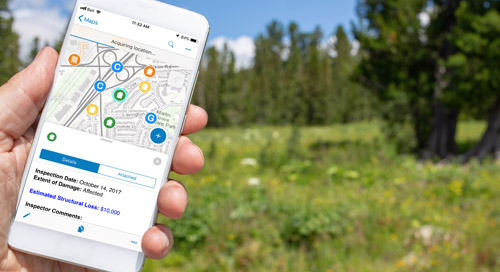 Hosted on Esri’s cloud-based mapping service, ArcGIS Online, it’s an efficient way for Orangeville residents to keep abreast of zoning issues that could affect their property, with the town’s entire database at their fingertips. 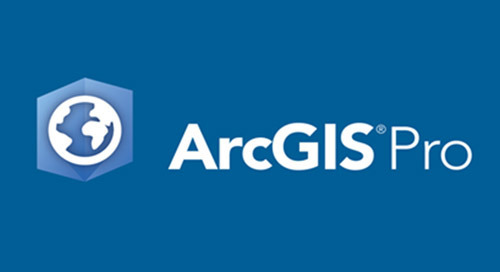 “ArcGIS Online is unparalleled. The cloud-based system is complete and easy to use. It’s super intuitive; the interface is simple and easy to navigate. It doesn’t take much to learn it and there’s tons of help online as well,” explains Evans Sepa, GIS technician for the Town of Orangeville. 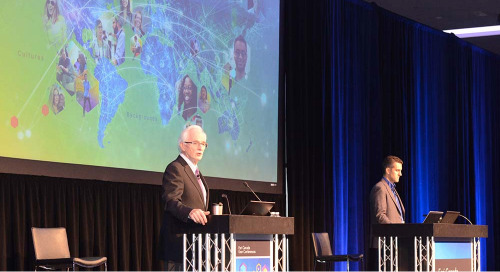 “Not many solutions offer the quality that ArcGIS can provide. 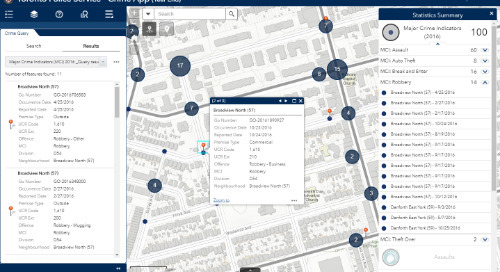 We used Web AppBuilder for ArcGIS for the web map interface. We chose the Developer version because of the many tools it offers, some of which are not present in the Online version at the moment,” he adds. The Town of Orangeville’s Planning Information Portal helps citizens access exhaustive zoning information and see bylaws impacting their property through a simple interface. The app allows citizens to cut through a copious amount of information and isolate those which concerns them. 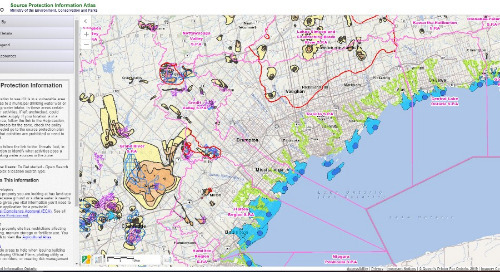 There’s a broad range of information available – from flood zones to heritage districts and properties. This way, residents can examine their property specifications before going to the town for more details. The benefits so far have been plenty, the app provides new services to the public, cuts down on time spent looking for information and diverts residents’ questions from the town’s planning desk. “What makes PIP robust is when you click a pop-up link, it’ll bring you to a specific point of the supporting HTML web page where the bulk of zoning bylaw information sits,” notes Evans. While PIP already receives upwards of 50 visitors a day, the town plans on updating the app with new features, such as new layers of information as they become available, land severances and provincial hearing decisions on development proposal appeals, which affect properties. 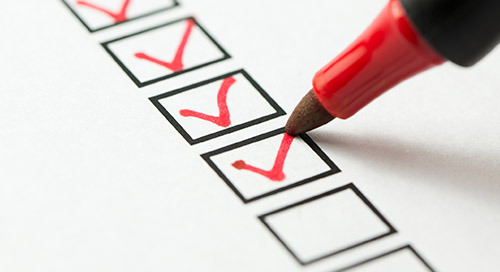 Since switching from paper plans to PIP, the feedback from staff and residents has been positive, and Orangeville welcomes the public’s suggestions for other functionalities. As for next steps, the town plans to further promote PIP on its social media properties as well as share it with local media. See the Planning Information Portal for yourself. Don’t hesitate to share your thoughts and impressions about the app by leaving a comment below. 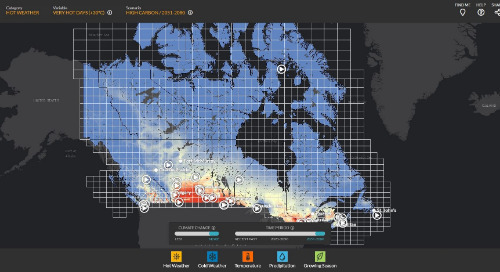 Have you created an app or map using ArcGIS that you’re particularly proud of? 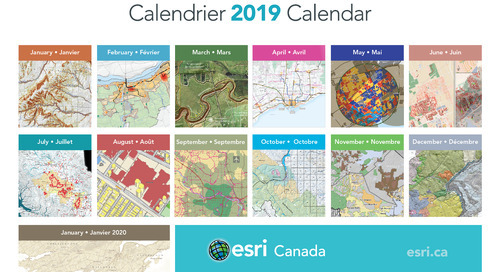 There’s still time to submit an entry to our 2019 Map Calendar & App of the Month Contests for a chance to have your outstanding work featured in our print calendar or our Blog. The contests run until June 8. Get a snapshot of upcoming events: fall User Conferences, configurable app webinar and more. 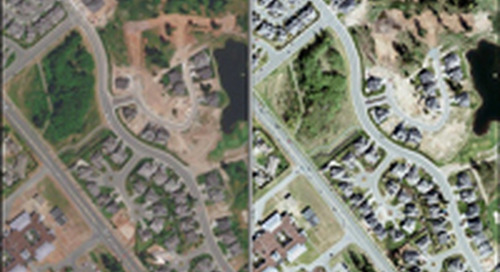 The imagery basemap was updated in May with more Canadian content.